Rotary arm stretch wrappers are pallet wrappers where a rotary arm on which the film unwinding mechanism is mounted moves around the pallet. For packaging by means of rotary arm technology, the goods to be packed do not move. Rotary arm stretch wrappers are therefore suitable above all when very light, unstable goods are to be packed or very heavy products are to be wrapped in film. 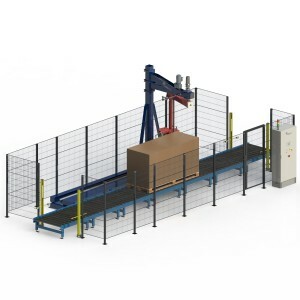 In comparison with a turntable stretch wrapper or a stretch robot, the semi-automatic rotary arm stretch wrappers of our epw600 series enable greater pallet throughput. The time for one wrapping cycle is approx. 60 seconds per pallet. 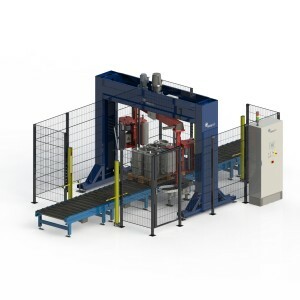 Fully automatic rotary arm stretch wrappers made by eurapack are a consideration as of a performance range of approx. 40 to 100 pallets per hour. The pallet output per hour is decisive in selecting which rotary arm stretch wrapper from the eurapack range of products you wish to use. 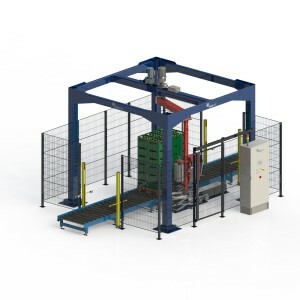 The machines of the epw700 series are the entry-level models, enabling a throughput of up to 70 pallets per hour. 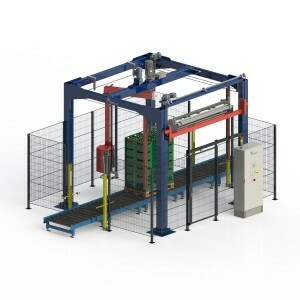 The machines of the epw800 series package approx. 80 pallets per hour. For the absolute high-performance range – starting at 100 pallets per hour – or if no rotary arm stretch wrapper fits in your packing line, the ring wrappers manufactured by Movitec that we supply are very suitable. 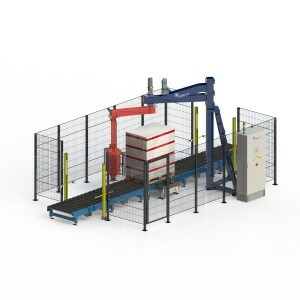 Alongside the pallet output per hour, a large number of other factors determine the best machine for you to deploy. Is it a requirement that your products must be dust-protected when packaged? 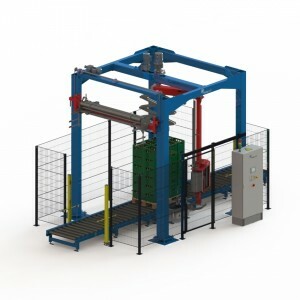 Then we recommend deployment of our epw830 rotary arm stretch wrapper with upstream top cover dispenser. 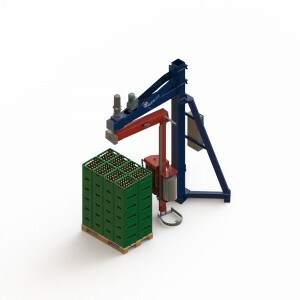 Do you have to package very large goods such as furniture or pipe profiles? Then our epw740 stretch machine is suitable for you. Do you package barrels or kegs of beverages? Then our epw730 rotary arm stretch wrapper is the right machine for you. eurapack sales staff will advise you comprehensively to determine a tailored solution for your new pallet wrapper.